Hi everyone! Long time, no blog! 😛 I’ve found that my blog gets very little traffic and have been discouraged by that. Therefore, I haven’t been posting as much as I should be. I’m also aware, that the more I post…the more viewers I may get. I’m just not that motivated/organized lol So for now, let’s focus on my 2017 Reading Goals! No one bought me books for Christmas this year. I saved up and bought them for myself (minus my extraordinary friends Michelle and Jody). When purchasing, I chose the books that have been on my list for the longest time and yet I still didn’t own/read them. I called it “Stocking up for Winter” (like a bear hibernating for winter…get it?? *wink wink* I’m brilliant, right?! Lol jk ) Now, I’m all set for 2017. I only have two books on my 2017 new releases wish list…as of now. They are Feversong by Karen Marie Moning (it’s a MUST) and a new Fablehaven I just learned about via Goodreads and FrankieReads. That book is titled, Dragonwatch: A Fablehaven Adventure by Brandon Mull. It releases on March 14, 2017. If you are a huge Fablehaven fan like myself, look into it!! My goal for 2017 is to read my top TBR books over the course of the year. Now, I did buy/receive the first books in different series. This means that, if I enjoy the books (I expect to!) then I will be needing the remaining books at some point. For now, my goal is to read ONLY WHAT I HAVE (and Feversong and Fablehaven lol I’ve counted them!) That puts me at a total of 58 books for 2017 (I hope my quick math is correct lol). Now, I have PLENTY more books to read after that goal, but 58 includes the highest priority books. I think I may make a spreadsheet and cross off books as I complete them. This may give me the Oomph to keep going. I am intensely aware of burnout and this is a huge concern for me. When I have to push myself to read a book in a certain time frame, that can take the enjoyment out of the process. That doesn’t include buddy reads. I enjoy them immensely. Other than buddy reads though, I like to just read at will. Hopefully, I can find a balance between no burnout and reaching my goal. Wish me luck! What are your 2017 goals? Below I’m going to be listing the 58 books I intend to read. If you would like to buddy read one of them, please let me know! Also, if we haven’t buddy read before, please keep in mind how I like to pace my reading. I like to usually keep it to 50pages a day??? Sometimes, I can’t keep that goal. Other times, I could easily surpass it. Just want to give ya a heads up! I don’t want to slow anyone down. Thanks for reading! Robin Hobb-Royal Assassin and Assassin’s Quest. Followed by The Liveship Traders Trilogy, the Tawny Man Trilogy, The Rain Wilds Chronicles and lastly Fool’s Assassin & Fool’s Quest. I guess I need to pick up the last book in the Fitz and the Fool series as well. Oops! I’ll be adding that at some point! Rick Riordan – books 2-5 in the Heroes of Olympus series. Currently reading book 2, but it won’t be completed until 2017. I’ll probably want more of his books asap. Brandon Mull – Dragonwatch: A Fablehaven Adventure and The Five Kingdoms series. Kendare Blake – Anna Dressed in Blood. I believe this is a duology?? So far, I only have book 1. Patrick Rothfuss – Wise Man’s Fear. I don’t expect book 3 for awhile, but I do want to get this one under my belt before its release. (Hopefully closer to the release. That way everything is still fresh in my mind) Has anyone read The Slow Regard of Silent Things? I did enjoy Auri, but I wasn’t sure if this book was worth my time. Thanks! Frank Beddor – The Looking Glass Wars. I’ve had this one on my list for SO long. I finally purchased it in my last Bookoutlet Haul. Thank goodness. I need to give this book a shot. I believe that’s it….though I’m known to forget things. Hehe Like I said, I have quite a few other books that I really want to get to. These books are from various genres that I enjoy. I think it will give me variety and help prevent burnout. If you are interested in a buddy read, please please please let me know! Hehe If you said you would buddy read one of these with me and I forgot (again, I do that! Lol) just let me know so we can plan! Good Luck on YOUR 2017 goals. I hope we all succeed and enjoy every second of it! 2016 has been a truly difficult year for me. There were some amazing highlights (Raven Cycle ReadAlong and my One Year Bookish Anniversary) but there was a lot of tragedy as well. I’m not quite sure why I feel compelled to put personal info out there right now. Usually, I keep that private. I guess I just want to wash my hands clean of 2016 and all its ugliness. I want to start fresh with the dropping of the ball and pray to the good Lord above that things get better. I need them to get better. I don’t want to bring you down or bore you with my drama. Quite frankly, next to no one reads my blog, so I guess I won’t bring down too many people. I think I’m searching for positivity. I’m searching for my happy place again. I found it once here in the bookish community and I’m hoping you can all guide me in that direction again. Let’s start with the nitty gritty…. A personal tragic event happened to a close family member. It came as a huge shock. It brought us all to our knees. It could have been life or death and luckily we dealt with it…he’s still here. The shock still wakes me up at night or hits me out of the blue. It’s crushing and yet we deal….we move on….we be thankful for what we do have. That’s all you really can do, right? There were massive changes and many sleepless nights. It took a physical toll on me and I still feel…exhausted all the time. Not so great for reading or finding time for booktube/blog reading. Then we suffered losses. One that we didn’t see coming, but crushed my sibling. One that we knew was coming, but not on a holiday. Our lives have changed immensely, because of all of this. Some days, I don’t know how to cope. I’ve lost motivation to read, watch videos, read blogs….even my social media presence isn’t what it was. I’m stuck in a rut and I can’t get out. I want to get out. So, after this somber post, I’ll be posting my 2017 Reading Resolutions. I’m hoping that will get me back in the swing of things. If you want to buddy read, please let me know. I’ll be posting my reading list as well! I’d love to chat books, etc! If you have tags or challenges or anything fun that you would like to involve me in, please let me know. Please keep in mind, my tragic events are still ongoing and I will be dealing with that. Therefore, time for “myself” is very limited. I’m hoping it changes soon, but I’m just not sure it will for awhile. 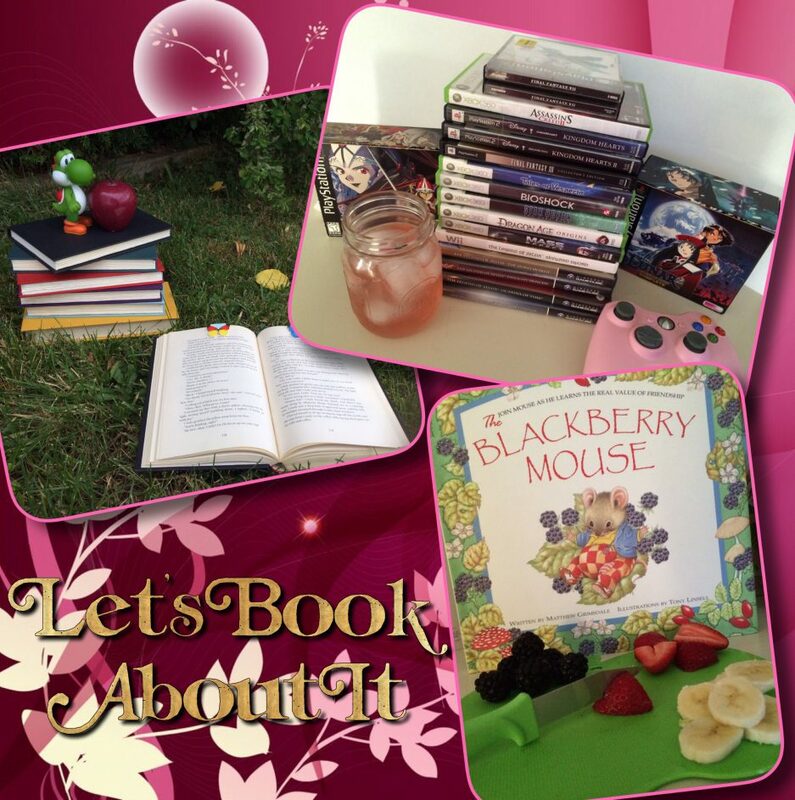 When I first joined Booktube over a year ago, I was seeking some “me” time with fellow readers. You are MY people! Lol I escaped to bookish chats, videos, blogs, etc. It was glorious and gave me purpose. Now, I’m hoping to recapture that fun. Are you in?